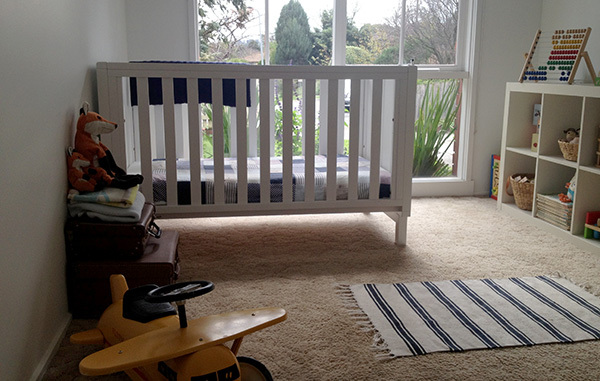 Sometimes decorating an entire space stems from one single much loved item and we adore what inspired George’s mum Bridget in the early stages of planning his nursery. When thinking of decorating her second son’s space there was one thing Bridget knew she wanted for sure, a quilt. 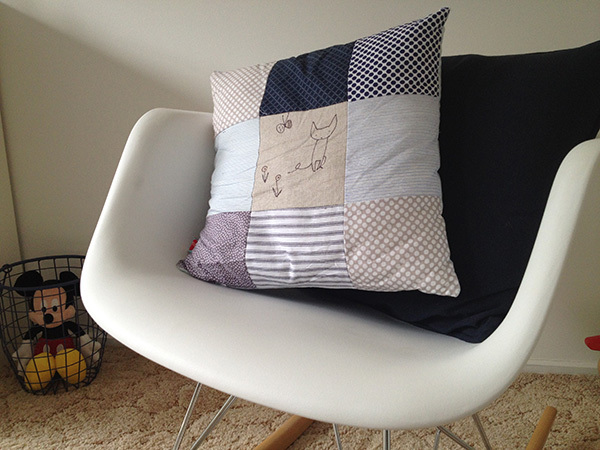 Bridget says: My inspiration for the room started with the quilt. 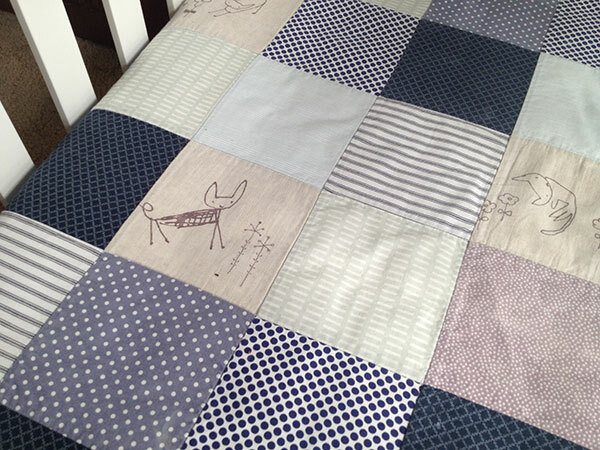 I had seen beautiful quilts by ‘Goo Collection’ at Mathilda’s market in Melbourne and knew that I wanted a gorgeous quilt to feature in my second baby boy’s bedroom. I loved the various blues and greys and the contrasting patterns of this ‘Field of Foxes’ quilt. 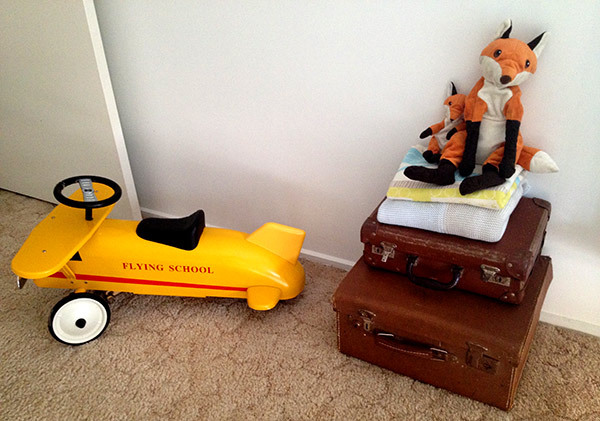 With the quilt spotted and a coordinating cushion secured, Bridget tells us how decorating snowballed from her Mathilda’s Market finds: Since the quilt had the very simple fox print, I thought I would loosely base the room on this. I found a gorgeous fox print online at ‘Print Space’ and made this the centrepiece of a gallery wall surrounded by other cards and prints given as gifts. Picture books are always beautifully illustrated and I love to see their gorgeous covers on display in children’s rooms just as Bridget has done for George. 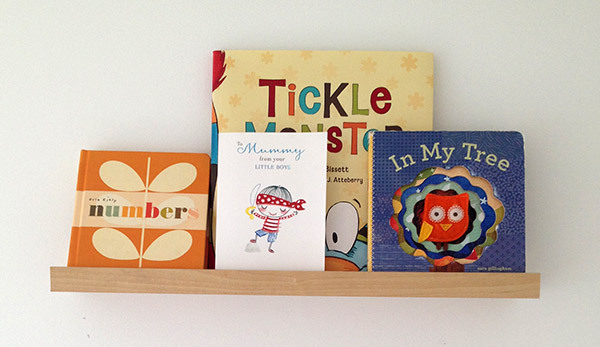 I used picture ledges to display books but also to create more interest in the room. The room is lovely and bright and has a very calming feel. 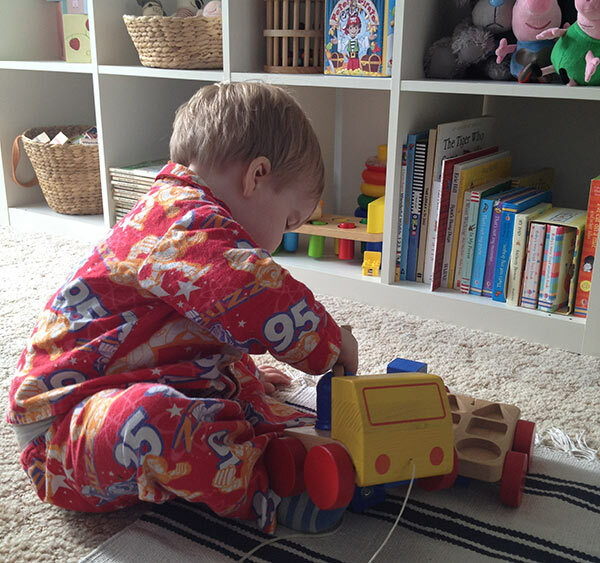 My boys love playing in the room and pulling everything off the shelves and taking the yellow plane for a spin. A beautifully serene room of blue and white, we love the Eames style rocker and pops of colour (what an amazing find that yellow ride-on plane is!). 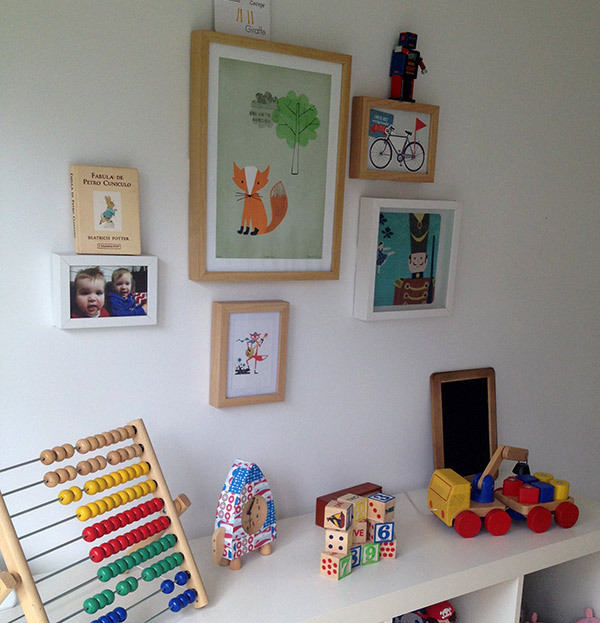 We can’t think of a nicer space for two brothers to play in than George’s room as it floods with beautiful sunlight throughout the day, with the ever popular Ikea Expedit shelving making for an easy clean up at night.